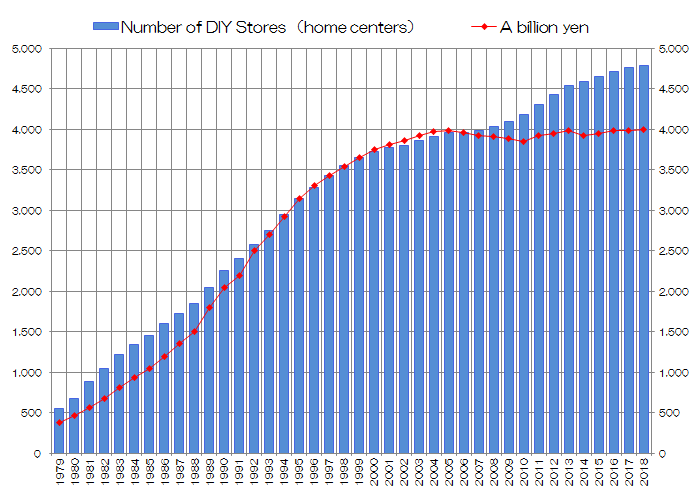 More than 45 years have passed since the first DIY store was opened in Japan. DIY sector achieved remarkable development every year as the industry and , it reached the general proceeds of 3.99 trillion yen. Following data shows the remarkable record of the development.